There is a lot of stigma attached to depression and people suffering it themselves often think that there must be something wrong with them to be feeling that way and that they should be able to turn it around. Depression is not a character weakness, but it is an illness. We wouldn’t tell a heart attack patient to ‘just get on with things’ but to visit a doctor to treat the heart attack. The same applies to people with depression. 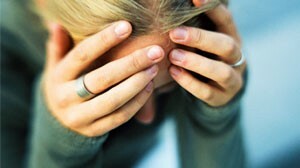 Depression needs medical attention and can, in most cases, not just be dealt with by the client. Is it true that in many instances depressive illness will naturally remit? Interestingly this is true. After a time period between six to twenty-four months it may subside. The fact though remains that suffering from this psychic pain is as intolerable as physical pain and it is therefore not encouraged to just wait until it goes away. In addition the depressed person has nothing to show to validate their feelings, which in many cases makes it worse. Isn’t taking drugs just avoiding reality and avoid facing how you feel? Yes, but the drugs improve your ability to cope with the circumstances. Depression renders patient less able or unable to access their normal problem-solving abilities and they often feel a lack of self-confidence, which means that whatever the problem, it always seems harder or impossible to deal with. Medication also restores the ability to feel emotions to the normal level, which means that the patients can still feel their sadness but also experience the other side of the emotional scale.